Patrick Wachsberger's SummitEntertainment, French major Pathe and US distributor Newmarket Films areamongst the indie players who ended a frantic round of marriages today, thedeadline day for the UK Film Council's slate deals. The roll call of consortiaaiming to win long-term development cash from the Government-backed supportbody is understood to run to around 20 bids, although several are understood tohave collapsed in recent weeks. There was still an element of uncertainty anhour before the 5.00pm shut-off, with one producer preparing to race acrossLondon on a motorbike to make the deadline. Run by the Film Council's£4m development fund, the initiative calls for local producers to formvertically integrated alliances with companies with distribution andinternational reach. Pathe submitted one of the few bids not led by a producer,but the former National Lottery franchise has formed umbrella relationships,one of the council's requirements, with three UK production companies. The trio includes BlueprintFilms, the newly-christened company of former Mission Pictures executivesGraham Broadbent and Peter Czernin. 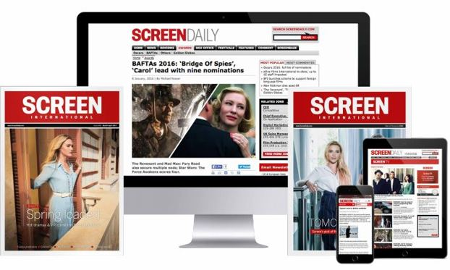 Blueprint has its own deals with taxfinancier Ingenious and FilmFour, the film arm of broadcaster Channel 4. Also coming under Pathe's wingare newcomers Tracy Brimm and Kate Myers of Forward Films, and Caroline Wood,who produced Dear Frankie for theFrench company's UK arm. Gruber Films, the productioncompany behind Waking Ned and Shooting Fish, has linked with UKdistributor Momentum Pictures and struck an exclusive arrangement with US salescompany Summit as part of one of the biggest consortia. Gruber has also teamedwith UK tax financier Prescience and Ryan Kavanaugh and Pat Dollard's corporatemanagement firm Relativity Management. Along with clients such as StevenSoderbergh and George Clooney's Section Eight and Mark Canton's AtmosphereEntertainment, Relativity's activities include drumming up investors fromoutside the film world. Also on board the Gruber bidare Sid Ganis and Alex Siskin's US production company Out Of The BlueEntertainment and British commercials company The Mob. Momentum and Ingenious havealso teamed with one of the favourites, Alison Owen and Neris Thomas'production company Ruby Films. Additionally, Ruby, which has a joint venturewith Gwyneth Paltrow, has linked with BBC Films and Irish production outfitOctagon Films. Matching funding comes via Octagon from support agency the IrishFilm Board. One of the very few bids tohave US distribution in place is from Andrew Eaton and Michael Winterbottom'sRevolution Films, which has teamed with Newmarket Films. Newmarket hascommitted to matching funding in return for first-look for North Americandistribution. BBC Films is also on board the Revolution bid, as is Prescience.Revolution is acting as the umbrella company for three production outfitsincluding Gina Carter and Stephen Fry's Sprout. Other high-profile bids seeJeremy Thomas' Recorded Picture Company striking a joint venture with LittleBird, the UK-based production company of Jonathan Cavendish and James Mitchellwhich this year sold a minority stake to South African mining tycoon MziKhumalo. FilmFour is again on board for UK rights in its second of at leastthree bids. Thomas' sales outfit Hanway will handle international sales, whilefurther financing is to come via Studio Pictures, an EIS tax financing schemebeing launched by Prescience. One widely-tipped produceris Barnaby Thompson, whose Ealing Studios has teamed with Mel Gibson and BruceDavey's Icon Entertainment. Meanwhile, UK-based sales agent Capitol Films hasteamed with Tiger Aspect and FilmFour.